I have been to Dishoom three times. The first time was about two years ago when we had the most amazing breakfast ever. We vowed to return the next time we were in London and told all our friends to go. They did, and it was indeed amazing for them too. Then I fell out with them because on my long awaited return in November 2012, their tandoor was broken and we were served a cold substitute. It was not their day. I am writing this post to defend their honour. I ranted, raved and down right sulked when I couldn't get my bacon naan roll fix. I even vowed never to go there ever again. When I had stopped being an idiot I remembered why I loved it so much in the first place, and decided to go back when we went to London for my birthday last week. As I walked through their doors I found all was forgiven. Welcomed in from the cold with a hot cup of tea, followed by that famous bacon naan roll... A big old naan wrapped around bacon, cream cheese, chilli tomato jam and coriander. My mouth is watering just writing about it. I cannot imagine a better breakfast in the whole of London. Not so filling that you can't fit in any other food sight seeing (scoffing), but substantial enough to fill a hole. At a bargainous £3.70, you will be hard pushed to find a better value breakfast! 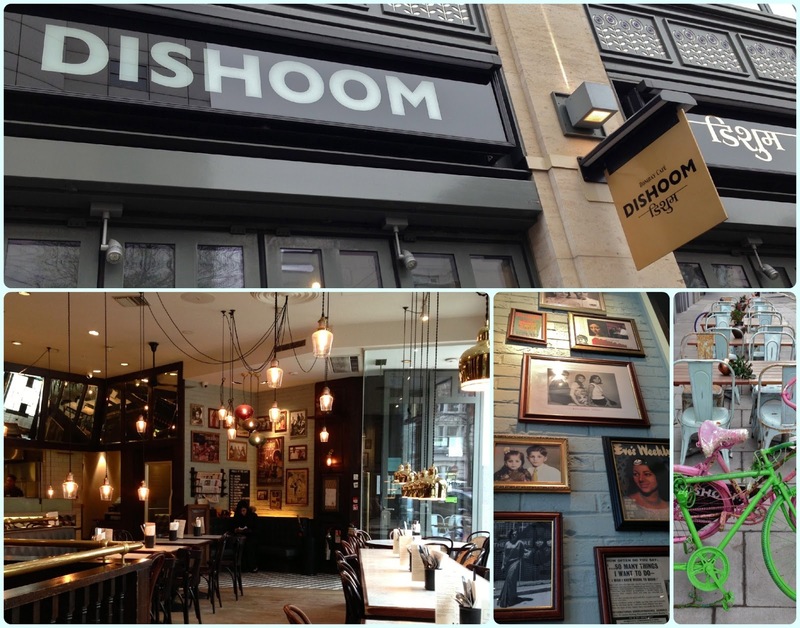 I love Dishoom! 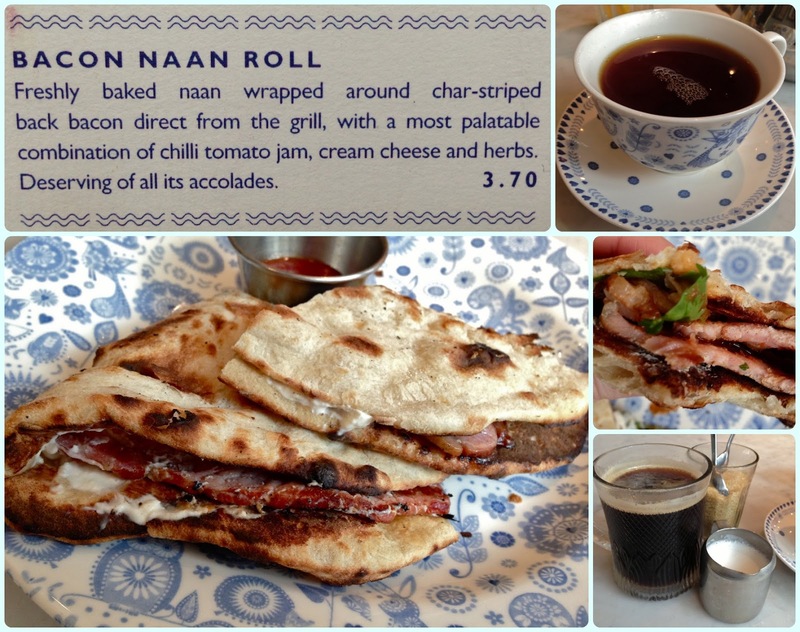 Have been there loads of times and any excuse to pop in for a bacon naan!! Their Pau Bhaji is also an all time favorite but everything is good!